My name is Anthony Kimball. I am a professional graphic designer with over 15 years of experience, a Bachelor's in Advertising (University of Oklahoma), and the drive for perfection on every project I take on. I have worked with clients large and small. 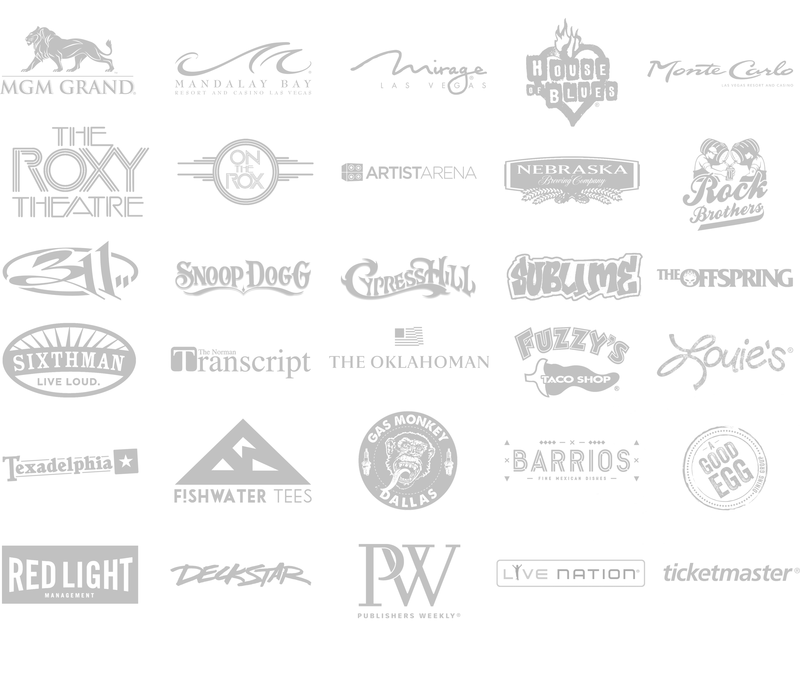 From local startups and non-profit organizations to platinum-selling musicians, world famous venues, best-selling authors, filmmakers, pro athletes and celebrities. No project is too large or too small! My rates are always negotiable, and I am available for ongoing projects as well! Feel free to reach out to me anytime for a quote or consultation. Reach out anytime for a quote!